Traditional alpine boots are suitable in first order for alpine terrain due to their stable construction methods. What in this case ensures needed sure-footed safety can in the case of moderate tours limit the natural and flexible roll-through of the foot in some circumstances. Stability and comfort can however walk the same path, as proven by both the IROX GTX® MID and LYXA GTX® MID Ws trekking models. 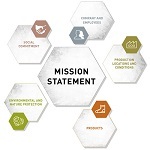 A perfect trekking boot must in first order possess two key characteristics: Comfort and high performance. 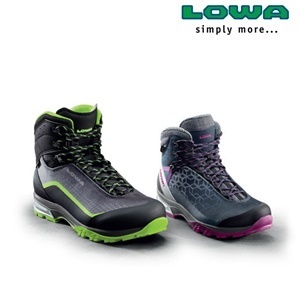 Top that off with a modern design and you get both the versatile IROX GTX® MID model as well as the slightly lower-cut women’s version, the LYXA GTX® MID Ws. And if that isn’t enough, the use of newer materials has reduced weight to a minimum without foregoing any bit of stability. 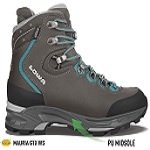 The result is an extremely athletic trekking boot that is impressive in its innovative construction using durable fabric, a breathable GORE-TEX® membrane, and a two-toned lining. Nothing now stands in the way of remote destinations with a grippy outsole combined with the high-cut rubber rand on the toes and heels, and the interwoven Fit Ribbon lacing system. Comfortable, versatile and flexible – you cannot describe the new IROX GTX® MID and LYXA GTX® MID Ws models any better than that. In the end, both of these trekking boots are the most creative compromise between a lower-profile approach shoe and a high-cut alpine boot. Or, to cut a long story short: The perfect companion for every moderate trekking and alpine tour.